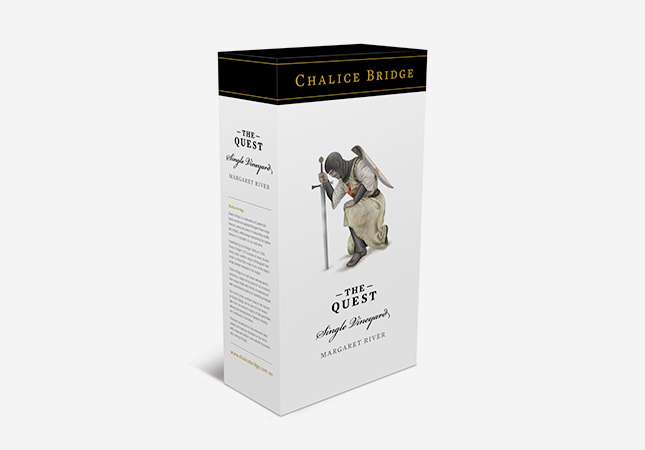 Chalice Bridge Estate asked us to review their existing product packaging due to stagnating sales. We conducted market research that uncovered a number of problems, including confusing visual themes, a lack of clarity about the brand story, and packaging that was not communicating price points effectively. 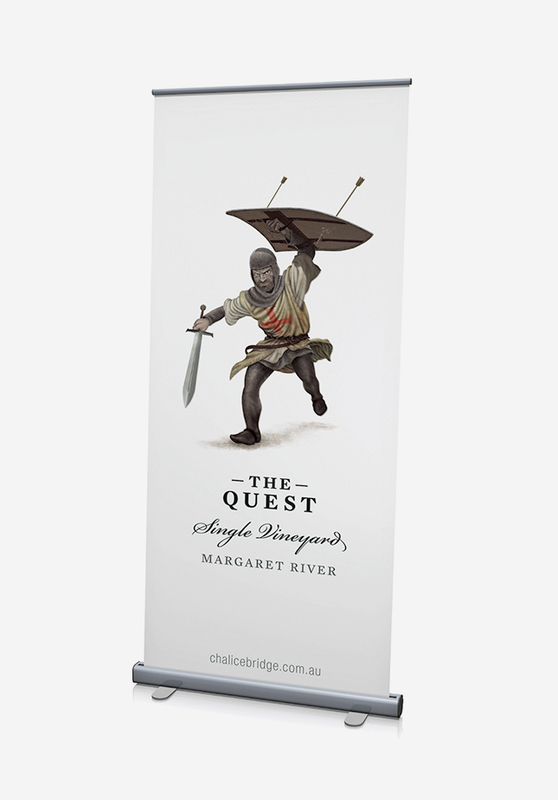 We developed a replacement range called The Quest, which was inspired by the legendary tales of the Knights Templar and their quest for The Holy Grail. 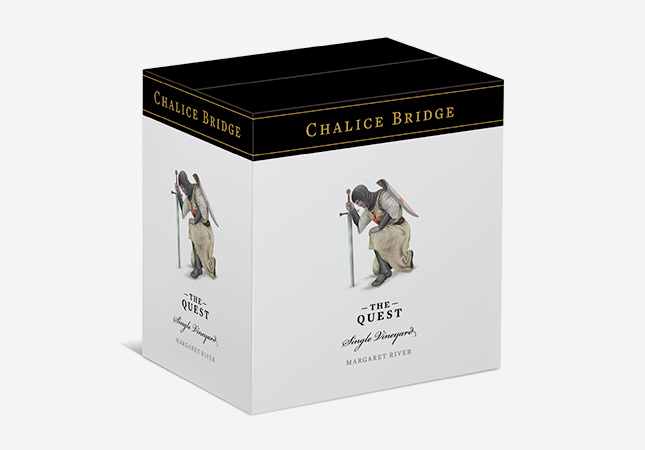 This range leads into the limited release product tier we developed called The Chalice, which represents the Holy Grail of the Chalice Bridge wine portfolio. 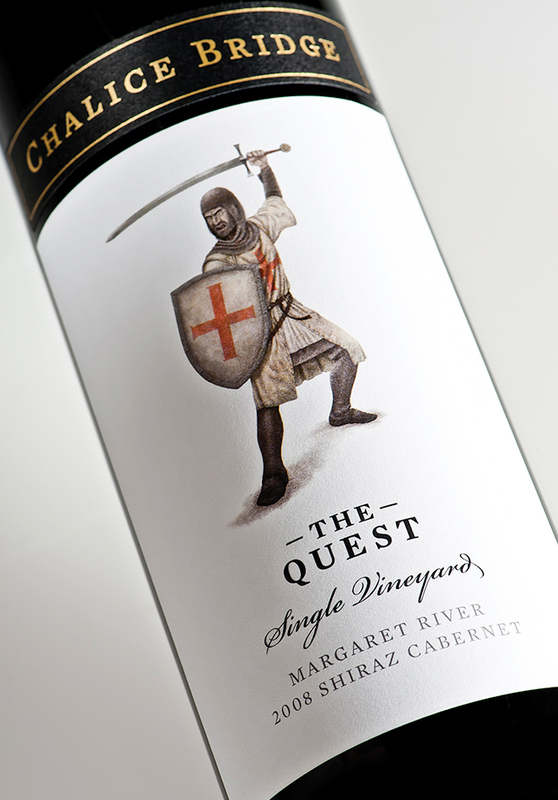 The Quest has been featured on: The Dieline, Lovely Package, and Packaging of the World. 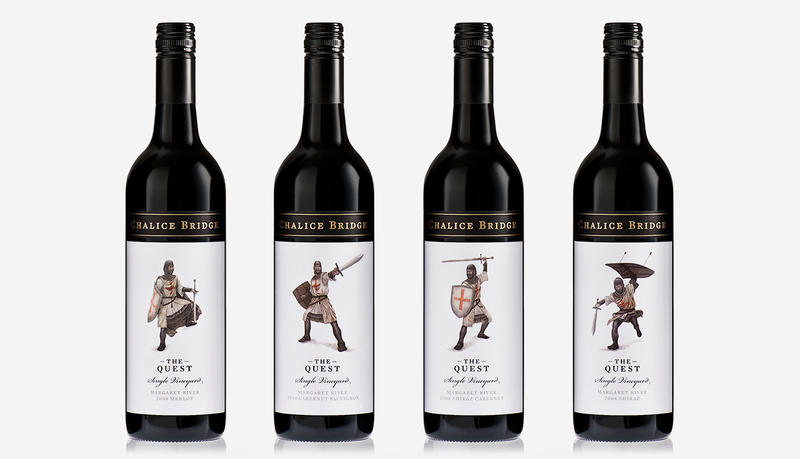 The labels also won Silver at the 2011 WA Print Industry Craftsmanship Awards (PICA).